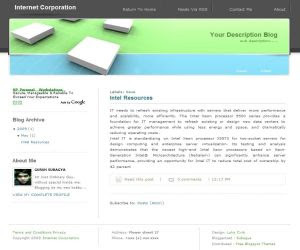 Looking stylish template for your blog, i suggest you must try internet corporation template. Internet Corporation is original designed by Luka Cvrk, and i just bloggerized this template and give some little retouch to this template. Internet Corporation Template is suitable for your personal blog or business, this template absolutely free for you but please don't remove the credit because we have spend so many time to make this template and we gave you for free, nothing else just please don't remove credit link. Minta izin downlad ya maz...?! Nice information that states that Internet Corporation Template is suitable for your personal blog or business, this template absolutely free for you but please don't remove the credit because we have spend so many time to make this template and we gave you for free, nothing else just please don't remove credit link.